Preheat the oven to 400°. Divide the pizza dough in half and roll out two pizza crusts. Place on two pizza pans or two large cookie sheets. Spoon an equal amount of pizza pasta sauce over each. 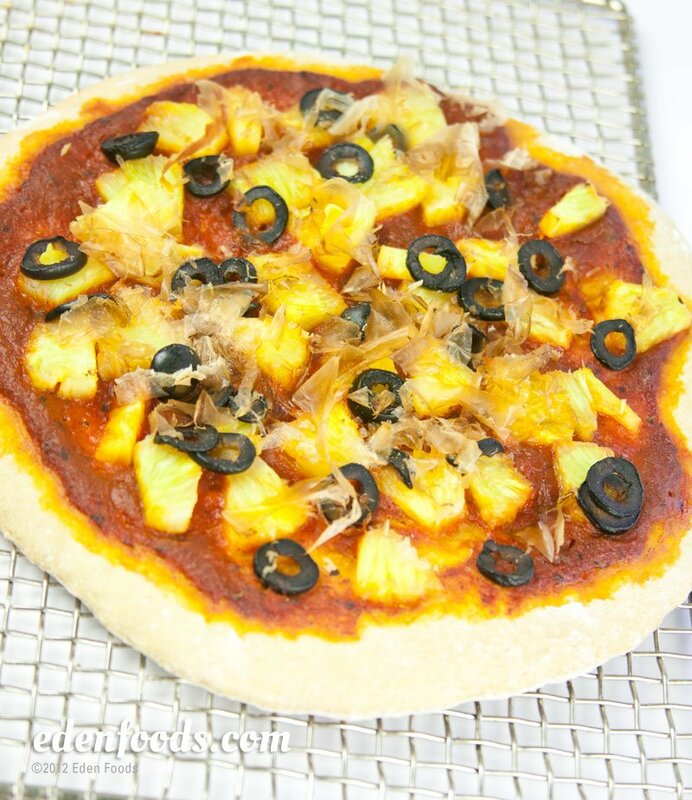 Sprinkle on equal portions of pineapple, black olives and bonito flakes. Bonito flakes impart a flavor similar to bacon or ham. Let sit for 5 minutes. Bake for 20 to 25 minutes until slightly golden. Lightly brush the the edges of the crust with a little olive oil to slightly brown just before the pizza is done.